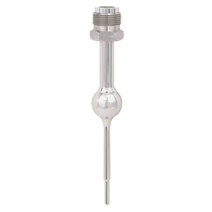 The model TW22 thermowell is used to adapt thermometers and measuring inserts to the process and protects the sensor against harsh process conditions. The thermowell is mounted to a weld-in nozzle equipped with a respective hygienic connection and is built in pipelines and tanks. Through the rotatable threaded connection, the connection head or display can be loosened and adjusted to the desired position. 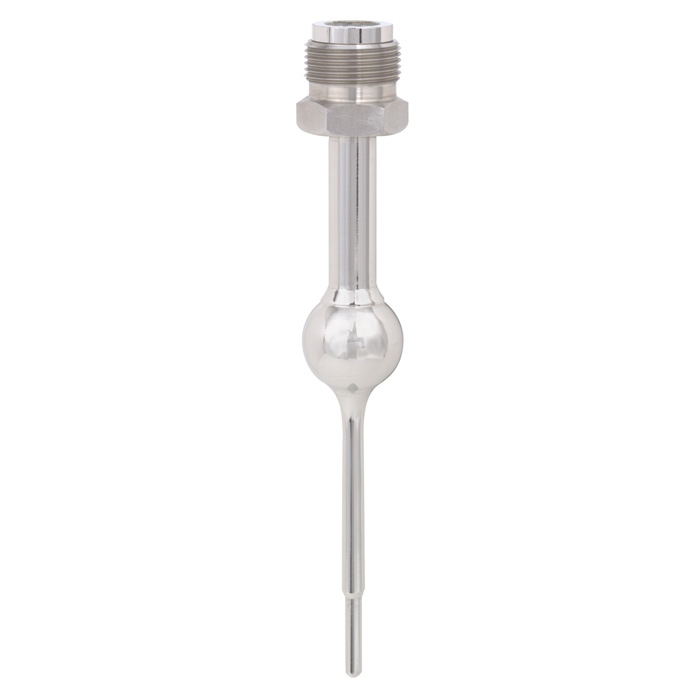 With a combination of a model TR21-A or TR22-A resistance thermometer, the connection head is removable along with the measuring insert. This enables the thermometer to be calibrated along with the complete measuring chain, i.e. without disconnecting the electrical connections. In addition, this avoids having to open the process, and thus the risk of contamination is minimised.